On Monday, September 15, 2008, Lehman Brothers Holdings Inc. (Lehman) filed for Chapter 11 bankruptcy protection in the United States Bankruptcy Court for the Southern District of New York. At this point, only Lehman has filed for bankruptcy, while its U.S. subsidiaries have not. For companies that have entered into a swap agreement with any Lehman entity, however, it is important to be aware of the consequences of the Lehman bankruptcy, and the consequences of the potential bankruptcy or receivership of the Lehman counterparty to such company’s swap agreement. Furthermore, while certain Lehman businesses have already been sold (e.g., Lehman’s North American investment banking and capital markets operations were sold to Barclays PLC on Tuesday, September 16), and accordingly some swap agreements have already been transferred to a solvent buyer, many Lehman subsidiaries (and their swap agreements) have not. As used in this client advisory, “swap agreement” has the meaning set forth in the Bankruptcy Code (11 U.S.C. §101(53B)). Finally, while most of the discussion below applies to all swap agreements, there may be differences based on the version of the ISDA Master Agreement entered into, and of course, the schedule and annexes incorporated therein. Has there been an Event of Default under your Swap Agreement? When a debtor files a voluntary petition for protection under the Bankruptcy Code, as Lehman recently did, that filing constitutes an immediate Event of Default under subsection (4)(A) of Section 5(a)(vii) of the Master Agreement. Lehman’s voluntary petition has instituted a bankruptcy proceeding, and pursuant to Section 301(b) of the Bankruptcy Code, it results in the entry of an order for relief. What are the consequences of an Event of Default? Section 6(a) of the Master Agreement provides that if an Event of Default has occurred, the non-defaulting party may, by not more than 20 days notice to the defaulting party, terminate all outstanding transactions by specifying an Early Termination Date. It is important to note that this Event of Default is, unless otherwise specified in the schedule, a discretionary right of the non-defaulting party. You will need to review the schedule to your Master Agreement, however, to determine if the bankruptcy of the counterparty or any Credit Support Provider results in “Automatic Early Termination.” If it is, then the Event of Default is automatic, and no notice is necessary. In addition, this section prevents “cherry picking” swap transactions to terminate. If an Early Termination Date is specified by the non-defaulting party, all outstanding transactions under the Master Agreement will be terminated. Section 6(e) of the Master Agreement sets forth the consequences of termination. The 1992 ISDA Master Agreement provided different methods for calculation of the close-out amount, but the default method was the “Second Method and Market Quotation.” This method is essentially the same as the method used under the 2002 ISDA Master Agreement. Under that method, the non-defaulting party will determine what is called the “Close-out Amount” for all Terminated Transactions, plus the unpaid amounts owing to the non-defaulting party, and minus the unpaid amounts owing to the defaulting party. This Early Termination Amount will be paid to the non-defaulting party if the result is a positive number, and to the defaulting party if the result is a negative number. The Close-out Amount is an amount determined using commercially reasonable procedures to reflect the gains or losses, as applicable, in providing the economic equivalent of, or replacing, the original swaps. Commercially reasonable procedures include quotations and relevant market data either supplied by third parties or developed internally. In other words, to the extent the swap is in-the-money to you, the defaulting Lehman party will need to pay you the amount required to enter an equivalent swap with an alternative provider; but to the extent the swap is out-of-the-money to you, you will need to pay the defaulting Lehman party the amount required for Lehman to enter into an equivalent swap with an alternative counterparty. All outstanding transactions under the Master Agreement will be netted against each other to determine the Close-out Amount. As the above analysis indicates, terminating the agreement may not be in the interest of all non-defaulting counterparties (i.e., those counterparties with swaps that are out-of-the-money). These companies should be aware of another option (provided that their Master Agreement has not specified Automatic Early Termination for the bankruptcy filing). We caution, however, that this approach involves risk and should therefore be carefully considered and discussed with your accountant and legal team before proceeding. Under Section 2(a)(iii) of the Master Agreement, the obligation of each party to make its payments under the swap is conditioned upon, among other things, there being no Event of Default by the other party (sometimes called the “flawed asset provision”). In other words, rather than terminating the Master Agreement and the swaps executed thereunder, the non-defaulting counterparty can simply rely on the “flawed asset provision” to forego making its fixed payments under the Master Agreement, while the Lehman counterparty continues to make its variable payments to the non-defaulting party. This approach was discussed and approved by the New South Wales Supreme Court in Enron Australia v. TXU Electricity (2003) NSWSC 1169, in which TXU, being out-of-the-money on a number of swap contracts with Enron, relied on Section 2(a)(iii) of those swap contracts to suspend its payments while Enron was in default. The court allowed TXU to stop paying while Enron was in default, but did not determine whether Enron would eventually be able to recover the payments from TXU. It seems clear, however, that the obligations of the non-defaulting party don’t disappear forever, but are merely suspended (and as a result the non-defaulting counterparty may wish to terminate simply to avoid exposure to further market moves). Clearly, this case does not bind U.S. courts, so the outcome of this approach cannot be guaranteed. In addition, that case applied Australian bankruptcy laws, rather than U.S. bankruptcy laws, to the Enron swap contracts. Accordingly, while the terms of the Master Agreement appear on their face to allow the non-defaulting counterparty to suspend payments while there is a Lehman Event of Default, this approach may invite litigation. Companies should also consider the fact that the swaps no longer provide the bargained-for security without Lehman as an effective guarantor. If this approach is an option you wish to explore, we strongly recommend that you discuss the benefits and risks with your legal and accounting teams. Another factor to consider is whether the parties have specified that the swaps will be collateralized under Credit Support Annex G to the Master Agreement, and if so, whether the collateralization is mutual. If it is, the non-defaulting party may have more incentive to terminate. Will I be indemnified by the defaulting party? The Master Agreement provides that a defaulting party will, on demand, indemnify and hold harmless the other party for all reasonable out-of-pocket expenses, including legal fees, incurred by reason of the enforcement of its rights under the Master Agreement including costs of collection. Normally, if a company files for bankruptcy protection, an automatic stay applies to all contracts held by that company. No counterparty to those contracts may terminate or accelerate the contracts or exercise other remedies unless the bankruptcy court consents (after the filing of a motion to lift the stay) or a specific statutory exemption is available. As noted above, it’s likely that the Lehman counterparty to your swap agreement has not yet filed for bankruptcy protection. As a result, the automatic stay does not apply to its swap contracts. If the Lehman counterparty were to become insolvent as well, however, then the question is whether the Lehman party would seek protection under the bankruptcy laws, or whether it is regulated by the FDIC, in which case the FDIC controls whether a receivership will be instituted. If the Lehman counterparty is not an FDIC-insured commercial bank, then the bankruptcy laws provide a statutory exemption to the automatic stay for termination rights under swap agreements. Section 362(b)(17) of the Bankruptcy Code provides that if a swap counterparty files for bankruptcy, the other counterparty is generally free to exercise its termination remedies. Section 560 of the Bankruptcy Code similarly provides that the typical unenforceability of ipso facto clauses in contracts does not apply to swap agreements. If the Lehman counterparty is an FDIC-insured commercial bank, then the process will be governed by the FDIC and their decision as to whether the bank is critically undercapitalized. If it does, the FDIC may declare the bank insolvent and take over its operations through a receivership subject to the laws governing the FDIC. If this happens, there is a one-day stay on the non-defaulting counterparty’s right to terminate the swaps and force the close-out settlement. However, this stay only applies if the termination right is based on the institution of the receivership. The non-defaulting party should consider whether it can rely on an Event of Default independent of the counterparty’s receivership, e.g., the bankruptcy of the Credit Support Provider. Under a receivership, the FDIC has the right to repudiate or disaffirm burdensome contracts, including Qualified Financial Contracts that are defined to include swaps (12 USC §1821(e)(8)). The repudiation of a contract by the FDIC as receiver terminates the failed bank’s obligation to render any future performance required under the contract. Accordingly, the repudiation of a swap acts as a termination of the swap, which requires the calculation and payment of the close-out settlement amount. The FDIC is not allowed to pick and choose which counterparty swaps it terminates; it must terminate all of the swaps with that counterparty or none. A swap that is in-the-money to the failed institution, however, would likely not be considered a burdensome contract, and the scenario more likely to occur than repudiation by the FDIC is that the FDIC sells the in-the-money swap to another institution (which is also expressly allowed under the Federal Deposit Insurance Act). In fact, the FDIC is likely to sell all of the assets of the failed institution to a solvent bank. If that happens, the other institution would not be able to terminate (and cause the close-out settlement payment) unless and until an Event of Default occurs by the non-Lehman party. 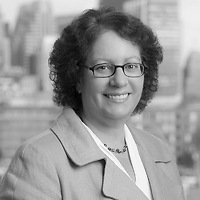 If you would like more information, or if you wish to discuss your swap agreements, the status of the particular Lehman counterparty to your swap agreement, and the impact the Lehman bankruptcy may have on them, please contact Beth Mitchell, member of the Commercial Finance practice group or your Nutter attorney at 617-439-2000.